The Passport Program for October will be held October 5 from 1-5 PM. The Passport Program is a come and go event where the community can learn about something new and make a craft. You can also collect your Passport To Culture and earn stamps. October’s Passport Program will be all about flags of the world! Come learn about some of the different flags and what they stand for and make your own flag craft. The flags we will learn about are flags that represent AFS exchange students that have lived in Goodland. The exhibit “Connecting Lives, Sharing Culture: 100 Years of AFS” tells the story of AFS internationally and locally. It also explains what AFS can do for us. 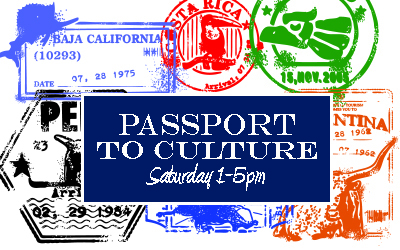 Join us next Saturday, October 5th from 1-5 PM for the Passport Program! Learn about flags from around the world and get your Passport To Culture stamped! ← You Get A Stamp! You Get A Stamp! Oh Wait… Only Notaries Get Stamps!